Chad Cose won the National Hot Shoe Championship in 2007 and 11 years later rode his way to his first AFT Twins podium, taking 3rd place at the 2018 Texas Half mile after setting the top qualifying time for the day and winning his Semi. 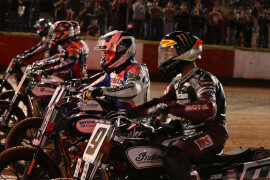 Riding the Indian Scout FTR750 for Indian Motorcycle of Oklahoma City, the three-time X Games athlete finished sixth in points standings in 2018. Cose started racing at age nine. Along with racing he also played many sports throughout high school. He competed in track and field his senior year and holds three school records for the events he competed in. Cose's parents got him started racing. Cose has two brothers and three sisters. His favorite food is pasta, his favorite color is orange, and his favorite drink is Gatorade. Cose has a girlfriend who attends and supports him at all the races. Cose believes that he owes all of his success to God, his family and his sponsors that have helped him reach where he is today. Chad currently rides the No. 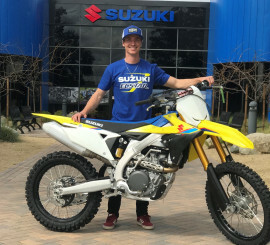 49 Suzuki RMZ 450 backed by Suzuki in the AFT Singles class. 2017 Chad Cose finished 14th in the standings for the 2017 American Flat Track season, with a best finish of 8th at both the Red Mile and Calistoga Half-Mile. He earned four top-10 finishes in the 2017 season. Finished 26th in the GNC1 standings with a best finish of 10th at the Santa Rosa Mile. 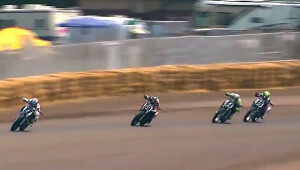 Raced for Ritchie Reynolds/Rod Lake/Kawasaki. 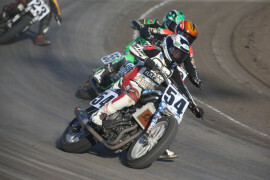 Earned four top 10 finishes in GNC1 Mains (DAYTONA Flat Track, Peoria TT, Delaward Half-Mile, Las Vegas ST). Raced for Myers Motorsports and ERT/Rod Lake. 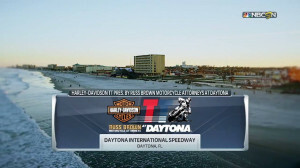 2014 Cose reached six GNC1 main events with a season-best showing of eighth place at the opener at Daytona. 2013 Finished 38th in the overall GNC point standings. 2012 Made three total starts placing 15th at both Daytona and Illinois State Fairgrounds. 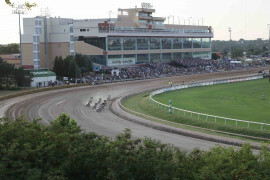 Cose earned three Top10 finishes in the GNC Singles, eaning a best finish of 10th-place at both the Illinois State Fairground and the Southern Illinois Center. Rode with M.E.H. Corp. Honda/Waters Auto Body Racing Suzuki. Cose earned nine main event starts with a best finish of 13th-place at Springfield Tourist Trophy and Prescott Valley, AZ Mile and earned a Dash start at Springfield Short Track. Raced with Waters Auto Body Racing team. 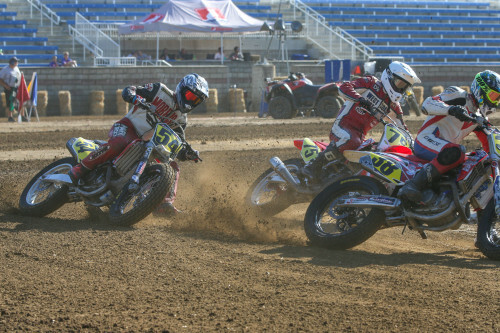 Cose raced in the AMA GNC Singles Championship placing 15th at Springfield Short Track and 13th at Sturgis National Hot Shoe Short Track in the Expert Singles. Raced for Columbia Avionics Rogers Lake team. 2008 Earned National No. 49 and had a best finish of 11th place in Billings, Montana. Cose placed 21st overall in the Singles division and third overall in the Basic Expert Twins class, winning two events and earning several podiums. 2007 Won the Pro Sport National Championship, as well the National Hot Shoe Championship.